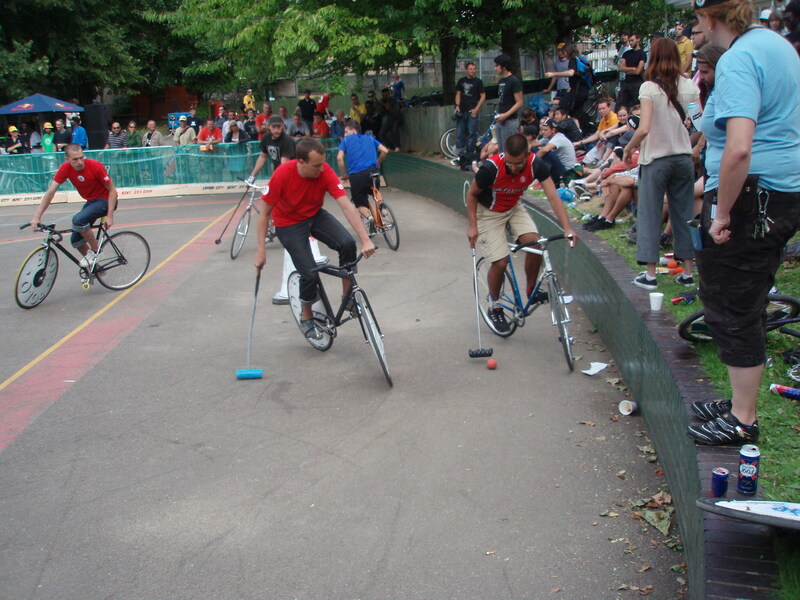 The London Bike Polo Tournament was on Sunday and I went along to watch and drink beer as my wrist is still buggered. Some poor sod ended up in hospital with a fractured skull before I even got there but apart from some bloody knees and a broken frame, there weren’t too many other injuries. In the end, it was a team from Munich who took the title and a bag of swag which included some of my Hell Yeah! T shirts. The standard was really high!